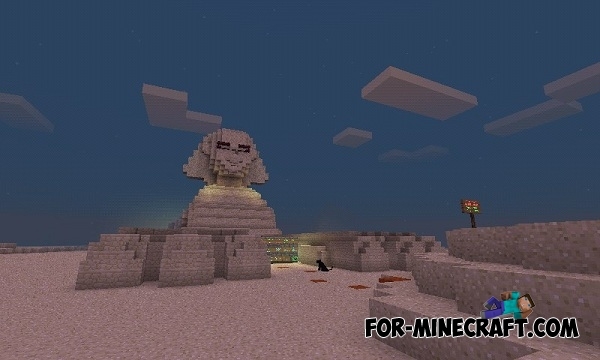 This map is the fifth of «Tomb Crafter» series. «Tomb Crafter» constantly surprised us with their unique and interesting maps in which we are always waiting for the test! This time you find yourself in Egypt. There you go to an interesting trip! You will have to travel to ancient tombs and find priceless artifacts! The main purpose - to find three ancient gold artifacts that have been hidden in three different tombs! Tomb Crafter map for Minecraft PE 0.14.0You have to find a long forgotten treasures, where there is no sunrise and sunset.